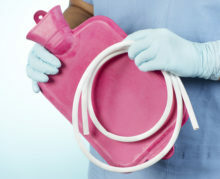 Everyone experiences upset stomach, gas, bloating, constipation, or diarrhea. Occasional, and even chronic, conditions can be controlled with medications, diet or surgery. Symptoms can range from mild annoyances, or more serious conditions affecting the digestive system, which is made up of the stomach, esophagus, intestines, and gallbladder. For instance, appendicitis is a condition that causes the appendix—a small pouch attached to the large intestine—to become inflamed. The most common appendicitis symptoms include pain in the abdomen, appetite loss, nausea, vomiting, and a low fever. Appendicitis is treated with antibiotics, and/or surgery to remove the appendix. Gastroesophageal reflux disease (GERD) is a burning feeling in the chest, which occurs when acid backs up from the stomach into the esophagus. Medicines that block acid production or neutralize existing stomach acid can help with symptoms, but surgery is an option if these conservative treatments don’t work. 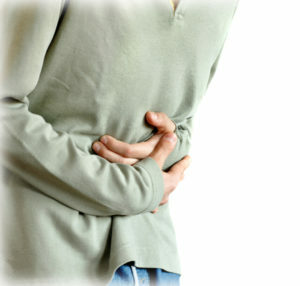 Too much stomach acid can also contribute to ulcers—sores in the lining of the esophagus, stomach, or small intestine. Pain, burning, bloating, and vomiting are some hallmark ulcer symptoms. Bacteria called H. pylori cause ulcers; antibiotics can treat the infection. Other medicines reduce the amount of acid in the stomach. 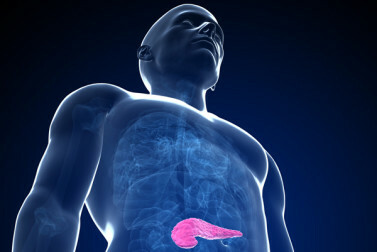 The gallbladder is a small organ in the upper right side of the abdomen. It’s main job is to store bile, a fluid that helps with digestion. 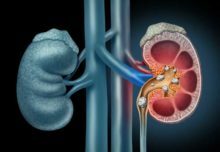 A number of problems can affect the gallbladder, including stones and inflammation—called cholecystitis. Sometimes small pouches, called diverticula, form in the walls of the large intestines. They’re caused by pressure on the intestinal walls, such as from straining while having bowel movements. A condition called diverticulitis occurs if these pouches become inflamed or infected. Diverticulitis is common in older adults, affecting almost everyone over age 80. Antibiotics can clear the infection, but if diverticulitis doesn’t get better, surgery may be an option. You might think salmonella poisoning means contaminated salmon, but it doesn’t! Contrary to its name, it’s more commonly linked to chicken than fish. More specifically, salmonella (salmonellosis) is a bacterial infection that affects your gastrointestinal (GI) tract.